Begonias are one of my favorite plants. Even when they are not in bloom many of the varieties have lovely interesting foliage. 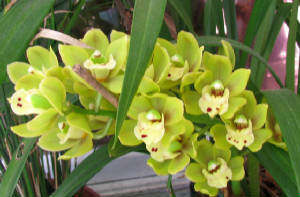 They are easy to grow if given the proper environment and will live for many years. 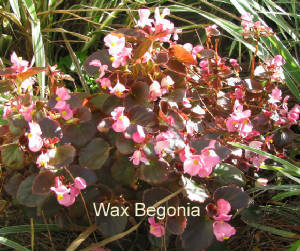 The most common begonia we see for sale in the spring is the Fibrous or Wax Begonia. These compact little plants are at most a foot high and they will provide almost continuous blooms in full sun or partial shade all year long in our area if provided protection from frost or freeze. The flowers come in various shades of red, pink, or white. The shiny, succulent leaves are green, variegated, or bronze-colored. Bronze-leaved begonias will stand up to full sun locations better than the others. 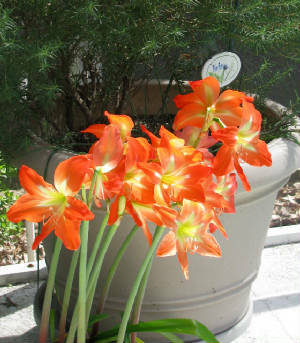 Be cautious to plant them in a well drained location. Another begonia variety that does well in our area is the durable Dragon Wing. This easy-care begonia is self-cleaning, meaning the old blooms make way for new ones. It continues to bloom without having to pinch off the old flowers. I have had one plant in a pot for three years and I find that it is most spectacular during the fall into spring. It still blooms during the summer, but not as profusely. 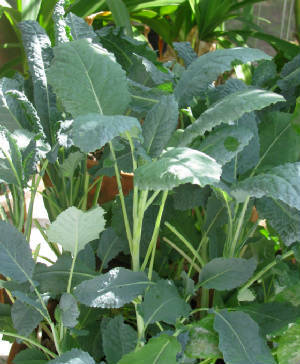 This variety needs a good source of fertilizer, so use a liquid fertilizer diluted to one half strength every other time you water to keep them looking healthy. The plant grows two to three feet tall, with tall arching canes and 5 inch long, glossy, deep green leaves and red or pink blooms. 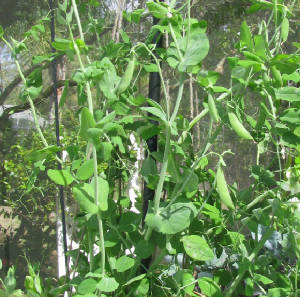 It will grow well in the sun during the winter and in the shade during the hot summer months. 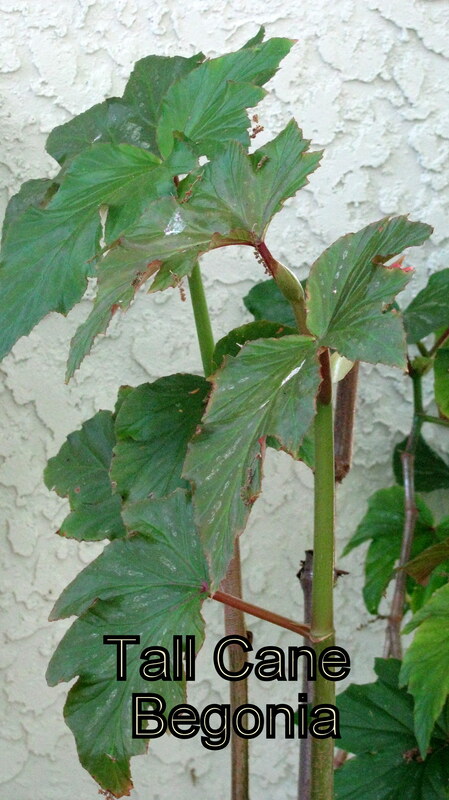 Other begonias are grown primarily for their spectacular foliage. Angle Wing or Cane Begonias get their name from the shape of their leaves and the tall cane growth habit that grows upward on one stem. 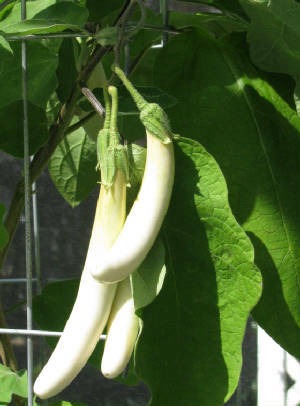 They flower and produce blooms that range in color from red to white. 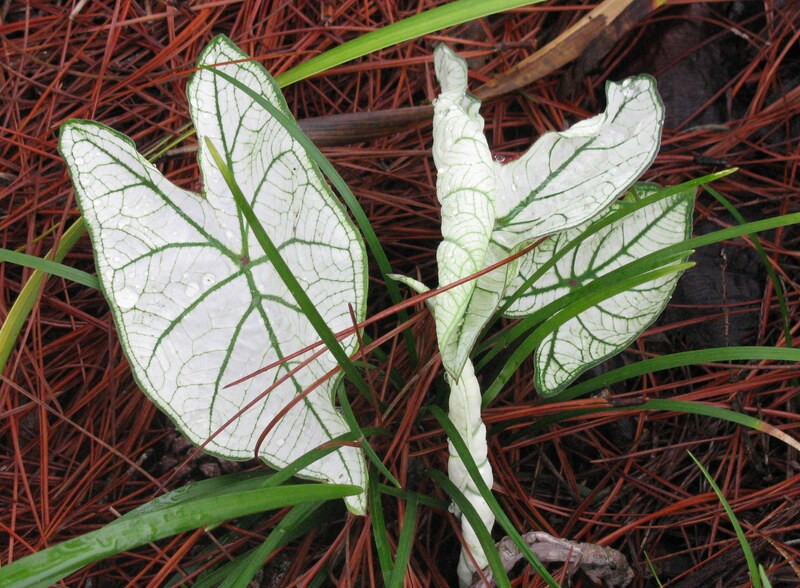 The top of the leaf is often a dark green with metallic silver specks while the underside can be green or a deep red. Since cane begonias are native to the tropics, our climate provides the ideal growing conditions of high humidity, a lot of water, and a lot of light. Provide shade during the direct mid-day sun or the leaves can burn. Rex Begonias are rhizomatous begonias that are not grown for their flowers, but for their beautiful leaves. 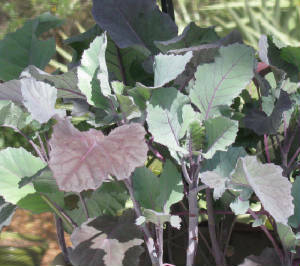 The leaves can contain a variety of green, red, pink, silver, gray, lavender and a maroon. These spectacular begonias grow best in containers in part-shade in rich, moist, well-drained soil during our cool, dry winter months. They start to decline once the hot humid warm weather returns. Bringing them inside to a bright window during the summer can help keep them alive, or you can just treat them as annuals. Some of the other Rhizomatous Begonias will survive our summers better than the Rex variety if they are grown in protected shade. But you just have to experiment with them. I have had plants that grow well for several years, then, all at once they die. 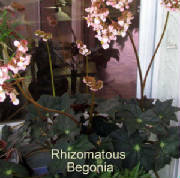 Another popular begonia is the Tuberous Begonia. These have lovely large blooms on very brittle stems. You will sometimes see these for sale this time of year, but I have found it is best to forgo them since our climate is not kind to them. Try some of the more hardy begonias instead. 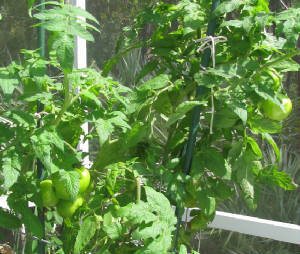 March heralds spring here in Central Florida and it is time for those gardening tasks that get our landscapes ready for much warmer weather. We did not have a lot of really cold weather this year, so the clean-up of frost and freeze damaged plants is not as daunting as in the last couple of years. Many of the plants that were damaged by cold are now sprouting new growth. You can prune back to this healthy growth to rejuvenate these plants. If you have shrubs or hedges that have grown too tall or large for the space they are in, now is the time for some drastic pruning to bring them down to size. Viburnum and Ligustrum can be pruned back by 1/3 to ½ now. This is also true for dwarf Yaupon hollies. Some plants that look dead may still sprout from the roots- look closely at ground level for new sprouts and prune back to this level. Also, if you did not prune your roses, do so now. Give your winter annuals, such as snapdragons, petunias, pansies or geraniums, a light pruning and balanced slow release fertilizer. You should see a new flush of bloom that lasts into May. And lastly, don't be tempted to scalp the lawn to remove the grass that has turned brown. You can damage the lawn by removing living growing points that are protected by the brown grass blades. Those brown blades will decay back into the soil. I want to also share with you some pictures of whats going on in my landscape. 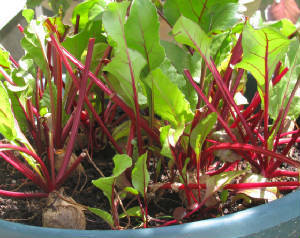 I have veggies in pots that are very productive. 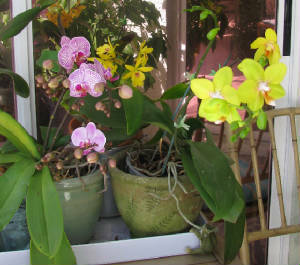 I also have more orchids in bloom this year than I have ever had. And the unusual warm winter has caused my Caladiums to sprout very early. They usually do not peak out of the ground until about mid April. And, my Amarylis are starting to bloom. I hope that you are experiencing an early colorful spring as well.